Sure, you’re high. But are you as high as you could be? Here are some tips and tricks to reaching the ideal high. Sure, you’re high—but are you as high as you could be? 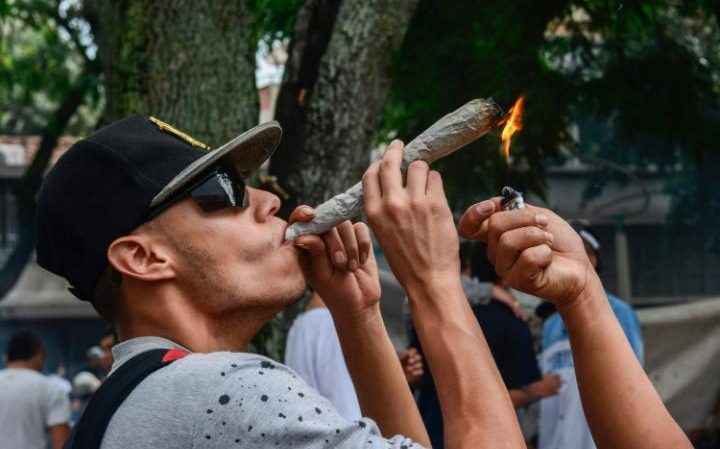 Science might be a bit behind in studying the ways to get a better high, but stoners around the world have shared their tips with each other since the first puff and pass. Hey, even if these tips don’t all work, you’ll get high trying them. There may be a scientific reason that mangoes give you a better high, according to Medical Daily. It has to do with a compound called myrcene terpenes, which helps THC get through the blood-brain barrier quicker. Eating a mango about an hour before you smoke can give you a stronger, more euphoric high. Even better, that mango may stop you from eating all those unhealthy munchies, and it gives you a dose of helpful vitamins and nutrients. A better high and healthy eating: what could be better? Science is almost always right. A study published in 2001 in the journal Drug and Alcohol Dependence showed ethanol increased the rate at which participants felt the effects of marijuana. Also, respondents reported more episodes of euphoria and showed higher plasma THC levels. Just be careful if you decide to mix the two, as alcohol and marijuana affect everyone’s bodies differently. Many smokers swear by it. 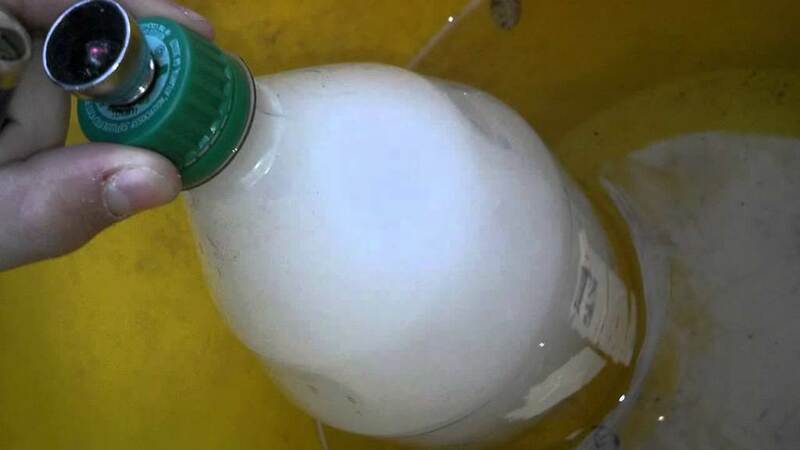 A gravity bong (sometimes called a bucket bong or a waterfall bong) uses gravity—often by releasing water—to pull weed smoke into a container that the user inhales it from. Just don’t do what this teenager did. Hey, if inhaling is good enough for President Barack Obama, then it’s good enough for the rest of us. Sometimes people actually forget to inhale into their lungs—they just hold it in their mouths. So when you smoke, don’t forget to inhale (and maybe remember to exhale, too). When you smoke, avoid a top shelf, which happens when the inhalation doesn’t get all the way to your lungs and gets caught in your chest, causing you to cough. To avoid this, try not to talk or laugh when you inhale (boo, we’re no fun). 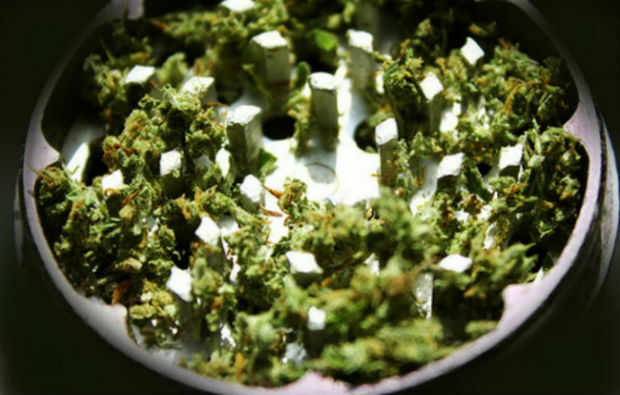 Grinding your weed gives it more surface area, allowing it to burn more evenly and slowly. Bust that bud up good with the SLX Non-stick Pocket Grinder or Santa Cruz Shredder for a better high. 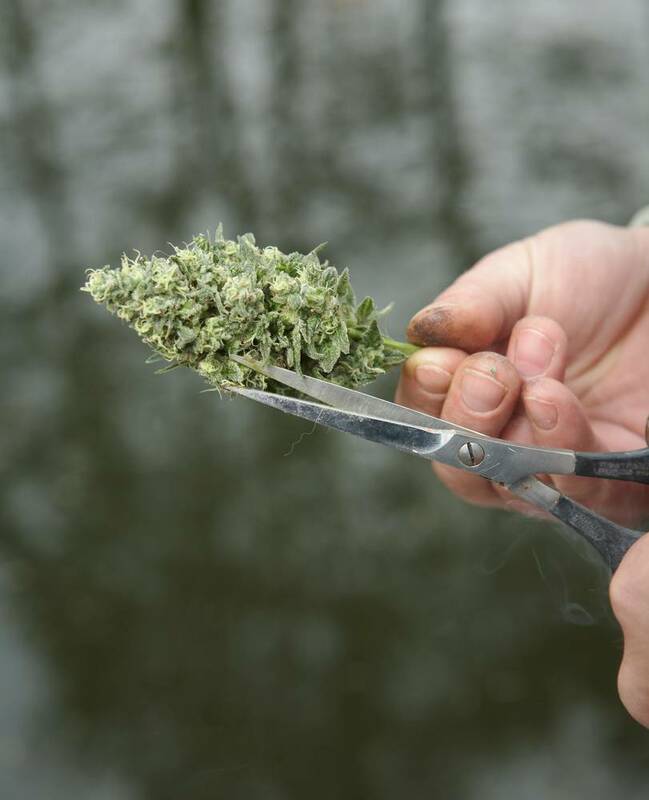 Some cannabis enthusiasts argue that grinding weed causes more THC to be lifted out – whereas cutting the weed with sharp scissors still allows for a fine cut, without the THC loss. To feel a good high, make sure your weed has ample THC, as this is the weed’s psychoactive ingredient. Some medical marijuana intended for physical relief is low in THC, so its cerebral effects are not as strong. Show your bong a little THC to get the high you are looking for. Similar to the above point, some marijuana strains are known for their highs, others for their lows. Esquire notes Indica is for pain, anxiety, and sleeping problems because it dulls the mind. Sativa tends to make you higher and feel more energized. So when you smoke a hybrid, make the hybrid more Sativa heavy to counteract the powerful Indica effects. If you usually smoke in the morning, try at night. Change your location or the music you listen to. The change in routine might change your perspective, and give you a better high. No matter what, weak weed just won’t get you there as quickly or efficiently as the good stuff. A properly rolled joint burns evenly, has no seeds or stems, and provides a better high. It takes a few seconds longer to roll a joint properly, but those seconds are well worth it to get a few feet higher in the clouds. Give RAW’s 100% organic, toxin and chemical free Rolling Papers a shot for that perfect roll every time. If you find that being around certain people kills your high—don’t smoke with them. If you get the best high by yourself, smoke alone. It’s that simple. “Fake it til you make it” does not work when it comes to weed. If you’re not high, don’t act like you are. It won’t get you there any faster and all you’ll do is annoy the people around you. No two people will experience the exact same high. What works for one person might not work for another, so try out each of the above tips and see what works best for you.